Shirts With Random Triangles: Three Sun Belt teams bowl eligible. Unlike most FBS teams, most Sun Belt schools needing one or more wins to become bowl eligible will have three games to do so. Though in all of those cases, they will have at least one team remaining on their schedules that have better records. Project bowl opponents with marked with an "*" have not themselves become bowl eligible as of the start of Week 12. The good news is that Arkansas St. has three games to get its sixth win. The bad news is the Red Wolves have to get it on the road. Best chance for the needed sixth win comes in Week 14 against currently 2-7 Texas State. Considering Georgia's struggles this season, a win against the Bulldogs is not out of the question. This is especially true as Georgia will be donning the infamous black jerseys for the first time since its 2008 loss to Alabama. Wins against Arkansas St. and Louisiana Monroe are more possible, but they will be fighting for bowl eligibility just as well. Thanks to a bye week, Georgia Southern will get one less chance to get to six wins than the other teams still in the bowl eligibility hunt. One is on the road, and one is against the conference's current top team,Troy. The Eagles could find themselves out of the bowl picture a year after winning its first bowl game in its second season at the FBS level. It's an underwhelming start for first-year head coach Tyson Summers. 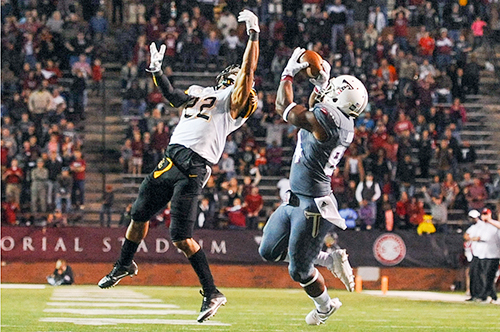 Louisiana Monroe faces a steep hill on the road against Appalachian State. It will probably come down The Warhawks having to win their last two games to go bowling.